If after 2 years, you need to catch up with close friends, who have helped shape you career, then you need a restaurant that will be worth the wait – great food, good prices and ambient enough to have a decent conversation. Enter Red Silks. Located on Bourke Street in Melbourne, this restaurant came as a pleasant surprise. I jumped onto my favourite foodie site Urbanspoon.com and was disappointed to see the mixed reviews. I decided to check it out myself before I made any judgements. The location is a little unorthodox but once you step inside, the setting is surreal. Given that we went during the Chinese New Year celebrations, the restaurant was well decked out. Their staff were very attentive and whilst there were some language barriers, I honestly believe, everything can be solved with a smile and the staff had plenty of those to go around. I mean, we did go on a Monday night and for most people, Monday’s are a drag. At the best of times. 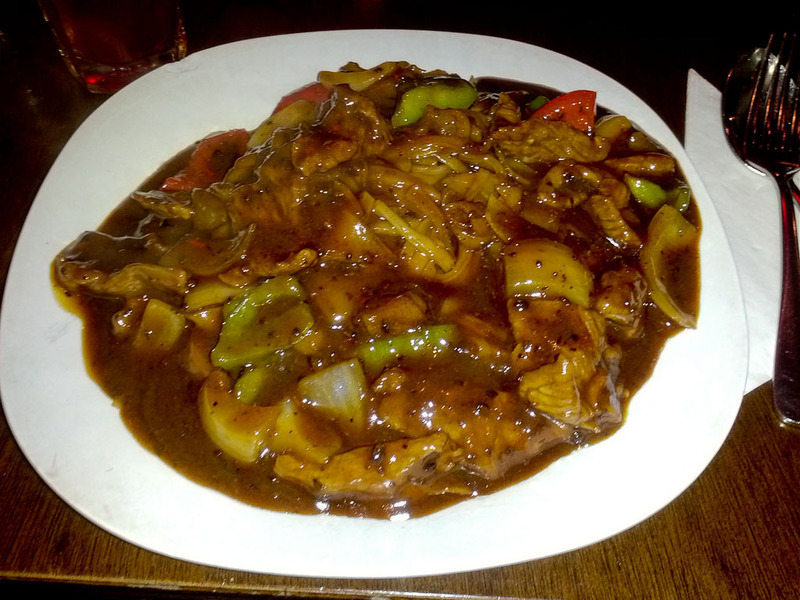 When it came to the food, I devoured the Fried Noodles in Black Bean sauce with Beef. Upon it’s arrival (which took all of 10 minutes), I thought that it might have been too watery to begin with and admittedly, thought to myself, this is what the other reviewers were talking about. However it was intelligent cooking. Because for the size of the plate and for the cost (I paid AUD$11), I thought I would easily finish it off. Hell NO! That plate was actually a bowl and as I filled up and food cooled, the sauce got thicker. And more amazing. Even though I was the second person to receive my dish, I was the last to finish. Their version of lemon lime bitters was a little on the lesser sweet side but at AUD $3.50 and for the size – I couldn’t complain too much. Overall, I would recommend going in and trying it out for yourself. The prices are very reasonable and the atmosphere fantastic.